Palyul Centers are located around the globe, providing the facilities for learning and practicing the teachings of the Buddha. This site will help you find the Palyul center closest to you, our teachers, their teachings, and teaching schedules. Our mission is to uphold and preserve the teachings of the Buddha through study, practice and activity. 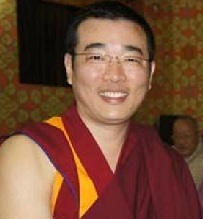 Our goal is to make the teachings, particularly in the Palyul Nyingma tradition of Tibetan Buddhism, available to all. Our centers offer a complete course of study, prayer, and meditation practice for those who wish to follow the path to freedom. Our retreat centers offer places to focus on practice. Click for a guide to Palyul center locations around the world. Palyul is one of the six great "mother monasteries" following the Nyingma School, or Ancient Translation Tradition, of Tibetan Buddhism. The monastery was founded in 1665 in the Kham province of eastern Tibet (present-day Baiyu, Sichuan, China) by Kunzang Sherab, the First Palyul Throne Holder. His Holiness Karma Kuchen Rinpoche (left), the Twelfth Throne Holder, is the current head of the Palyul Lineage. 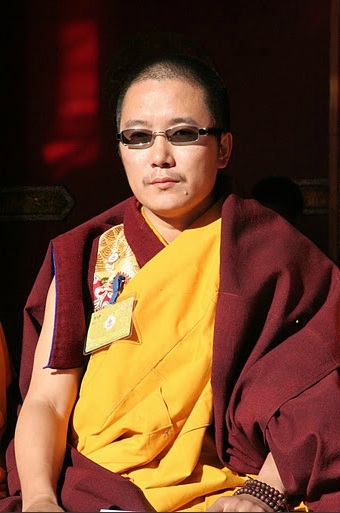 As His Holiness Penor Rinpoche tells us in the introduction to A Garland of Immortal Wish Fulfilling Trees, by Venerable Tsering Lama Jampal Zangpo that "... many troubled times have passed. However, due to the strength of the profound prayers made by many realized beings of the past, this stainless lineage has been maintained in an unbroken line to the present day. The original, undefiled blessings have been kept in not only the mother monastery, but also in the thousands of branch monasteries." His Holiness Karma Kuchen Rinpoche works together with His Eminence Khentrul Gyangkhang Rinpoche (right) and His Eminence Mugsang Kuchen Rinpoche (left) to care for the Palyul Dharma centers worldwide. When they were children, H.H. Penor Rinpoche recognized all three as Tulkus and personally trained them in strict accordance with the ancient traditions. 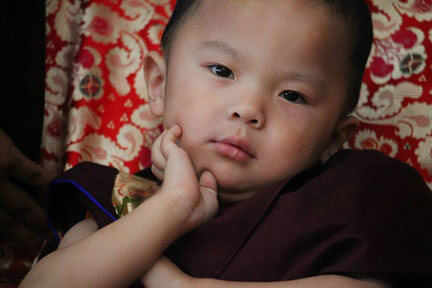 Today the "Heart Sons" work as brothers to uphold and carry forth the sacred teachings of the Buddha and the legacy of the Palyul Lineage Holders. Khentrul Gyangkhang Rinpoche and Mugsang Kuchen Rinpoche oversee Namdroling Monastery, the Palyul monastic complex located in southern India, which is home to over 4,000 monks and nearly 1,000 nuns, and includes a shedra (Buddhist college), high school, primary school, and a three-year retreat facility. The three Heart Sons also travel abroad to give teachings, especially in Taiwan, Hong Kong, Singapore, the Philippines, Macau, Europe and the United States. In this way, just as His Holiness Penor Rinpoche wished, the Heart Sons actively benefit sentient beings by teaching the Buddha Dharma. Khenchen Pema Sherab Rinpoche (right, front) and Khenchen Tsewang Gyatso Rinpoche (left, back) are members of the Namdroling Administration committee that includes Khenchen Namdrol Rinpoche (not pictured). 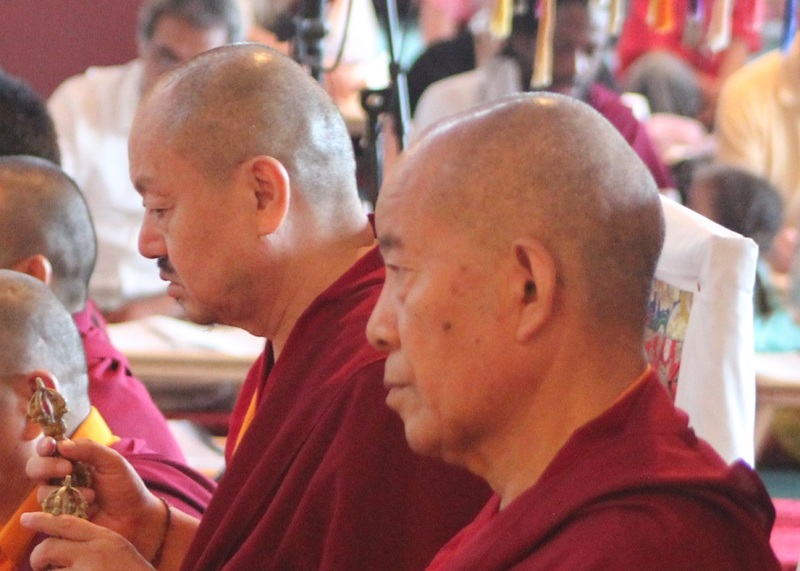 The three Khenchens work hand-in-hand with the Three Heart Sons to continue His Holiness Penor Rinpoche's work of preserving and propagating the Buddha's teachings. These teachers travel yearly throughout the world granting teachings and empowerments as well as maintaining the curriculum at Namdroling's primary school, high school and Buddhist College ("shedra"). Read Guidestar information on Palyul (login required).